The 2012-13 season of the Mooting Premier League (MPL), sponsored by Herbert Smith Freehills, includes most of India's and the world's top moots. The full list of included moots is listed in the MPL 4 Rulebook. 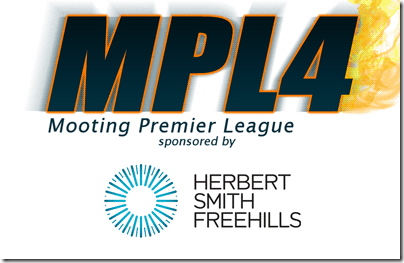 Check the Mooting Premier League 4 season standings for the latest rankings and more. This page was last edited on 28 January 2013, at 11:53.